Even in the best of relationships, all of us make mistakes. We do and say things we later regret and hurt the people we love most. So we need to make things right. But simply saying you’re sorry is usually not enough. In this book, #1 New York Times bestselling author Gary Chapman and Jennifer Thomas unveil new ways to effectively approach and mend fractured relationships. Even better, you’ll discover how meaningful apologies provide the power to make your friendships, family, and marriage stronger than ever before. 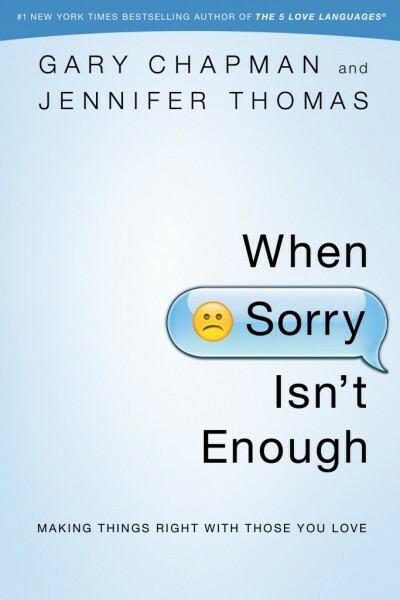 When Sorry Isn’t Enough will help you . . .
*This book was previously published as The Five Languages of Apology. Content has been significantly revised and updated.